We love clients who aren’t afraid of bold choices, and the owners of #BerylGlen certainly fit the bill. Their kitchen needed an update: walls had to come down, storage added, increased functionality, etc. Click here to see how the kitchen looking originally. 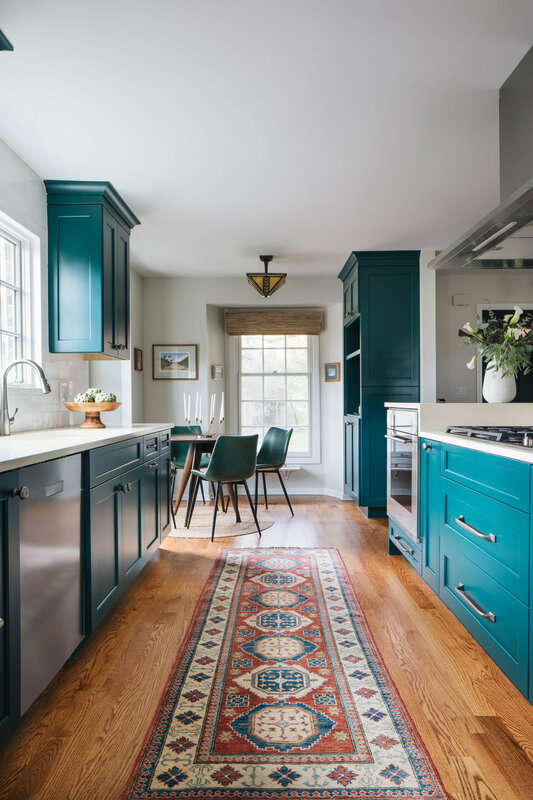 When choosing cabinetry, they were happy to entertain the idea of a bright color. 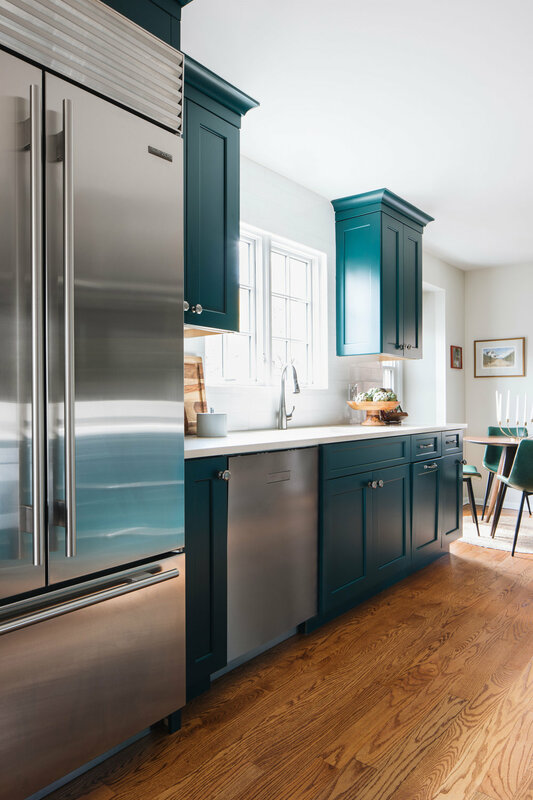 We ended up choosing Greenfield Cabinetry’s color matching cabinetry in Benjamin Moore’s Bavarian Forest. Isn’t it ah-may-zing?? This kitchen is such a stunning focal point within the open floor plan, acting as a gateway between breakfast nook, dining room and living room. We also designed a custom concrete hearth piece for the fireplace. Click here for the Before/After, it’s a transformation! Chicago Concrete Studios does amazing work, we love collaborating with local artists. In the midst of the kitchen remodel we also renovated their master bath. The use of space and strikingly simple design choices makes it feel extra roomy and relaxing. Photography by Stoffer Photography Interiors.